Posted by mispapelicos at 8:32 a. m.
What a beautiful milieu, wonderful cathedral. I adore cathedrals, I feel absolutely amazing every time I step into them, especially really old ones. So much history! What a magnificent cathedral! Despite being an out and out Athiest I just love outrageously grand ecclesiastical architecture like that! What a beautiful cathedral, so grand and old! Love your skirt in combination with this yellow belt. Sacramento que falda tan bonita!!!! me encantan las fotos!!!! Oh wow, that cathedral is beautiful. Your skirt is fabulous. I love border prints. that's a really pretty skirt, love the print and love how you're sporting it with your usual sassiness!, and all that pics are fabulous!, it seems you've enjoyed a sunny but not very hot day, amazing! What a beautiful cathedral! I love the architectur so much. Your outfit is very nice too. Lovely prints. es imposible no amar tu blog. es super special amor. q ganas d q vengas a madrid! Eres una maravilla y las fotos tb! Un beso amiga. 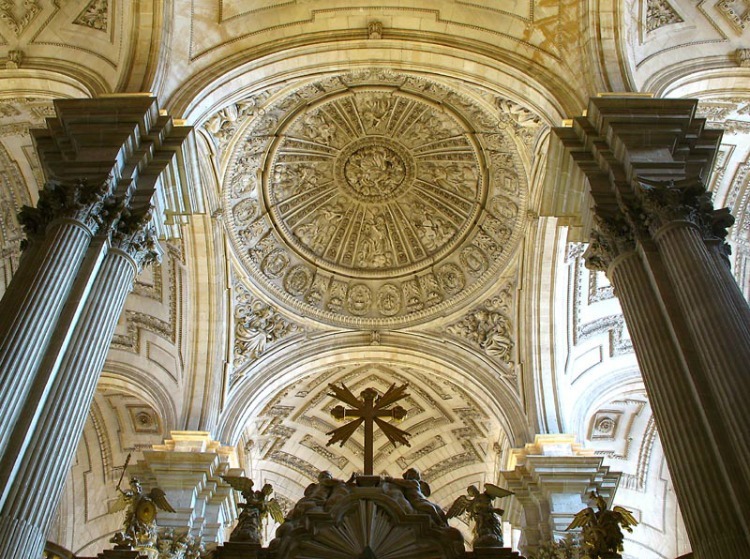 Las imágenes de esa catedral son simplemente impresionantes!!!! Y por supuesto , me uno a mis compañeros en la declaración de mi amor por esa falda.. jeje. Such a chic, fantastic ensemble! I adore the work of art that is your elegant skirt, and how you picked up the colours in it in that charmingly marvelous necklace. 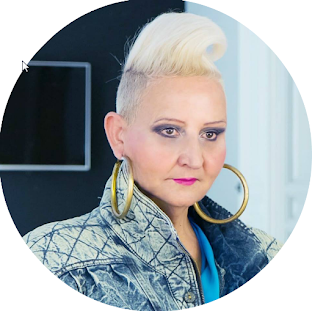 Inspiring look, sweet lady! Beautiful cathedral. Your skirt is amazing. Que maravilla de fotos, preciosa la luz del sur. What a fabulous and glorious building, the chatedral is one of those places where you feel miserable compared to the power of God, even for atheists! You are wonderful with the yellow belt on that wonderful skirt!!! I see a woman with a lot of power! The architecture is outstanding, love to see this sort of beauty. You look super stylish and gorgeous as always! Qué bonita!! La catedral y tu :D ... de verdad que te veo más delgada! Muy guapa mi querida amiga. 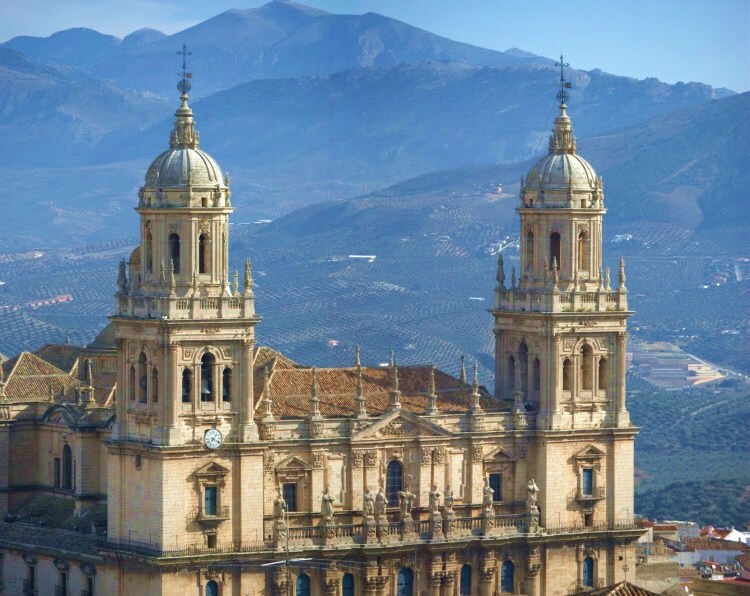 The second photo, of the cathedral with the mountains in the background, is stunning. Love the sleeves mixed with the pattern on this skirt. This cathedral is stunning and so are you! Oh, what a very beautiful place! And I can spot a Rosy skirt a mile away. GOTTA get me one SOON! You have a beautiful skirt, beautiful photos...kisses.. Wonderful pics, a terrific view, Sacramento! And a lovely you! Curtise called it. You look like an angel! Very nice outfit. Especially like the skirt and the necklace. Perfect look! Hermosa la falda y la camisa se ve fresquísima! Beautiful cathedral, beautiful skirt, beautiful woman..... The holy trinity?! Good Morning Sacramento, I saw your colourful photograph at Katherines Corner and so I popped over to visit you to say hello.... and I am so pleased I did, as the photographs of the Cathedral are absolutely beautiful and such a treat to see. It fills my heart with love just looking at the photographs, so imagine how I would feel if I entered the Cathedral. It is lovely to meet you Sacramento and I have become a new follower. I would like to invite you to visit me at Ivy, Phyllis and Me! as you would be most welcome. Your beautiful brightly coloured skirt, is perfect for the sunny day. what an amazing cathedral!! And you are gorgeous in your out--I love the skirt! Que luz y que photos, no conozco Jaen, pero me ha encantado el paseo que has compartido. Muy bello me encanta su ropa, se ve bonita! the sleaves of this blouse are so amazing. great pictures! Such glorious photos of the cathedral with the incredible mountains behind, dear Sacramento. That beautiful skirt is made extra special by the fact that is was made for you. Los tonos de la Catedral y los tonos de tu ropa estan muy harmoniosos! I would love to hear your heels click across the square and then echo inside that place of such majesty and overwhelming beauty. You fit right in. I especially love the beautiful fluttery sleeves! you have the best printed skirts, and this is no exception.